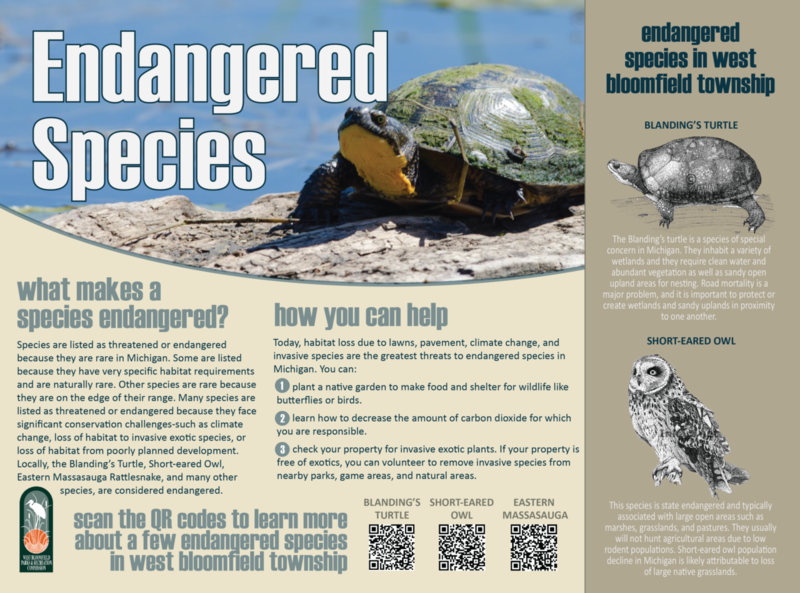 While undergoing construction of a new section of trail in the Huron and Rouge Watersheds, the West Bloomfield Township Parks and Recreation Commission identified the need for interpretive signage along the trail segment to identify unique environmental features and environs. livingLAB worked with Commission officials to identify five locations for signage and appropriate content. The livingLAB team developed a conceptual panel template including QR codes to link trailgoers to more information via their smart phones. 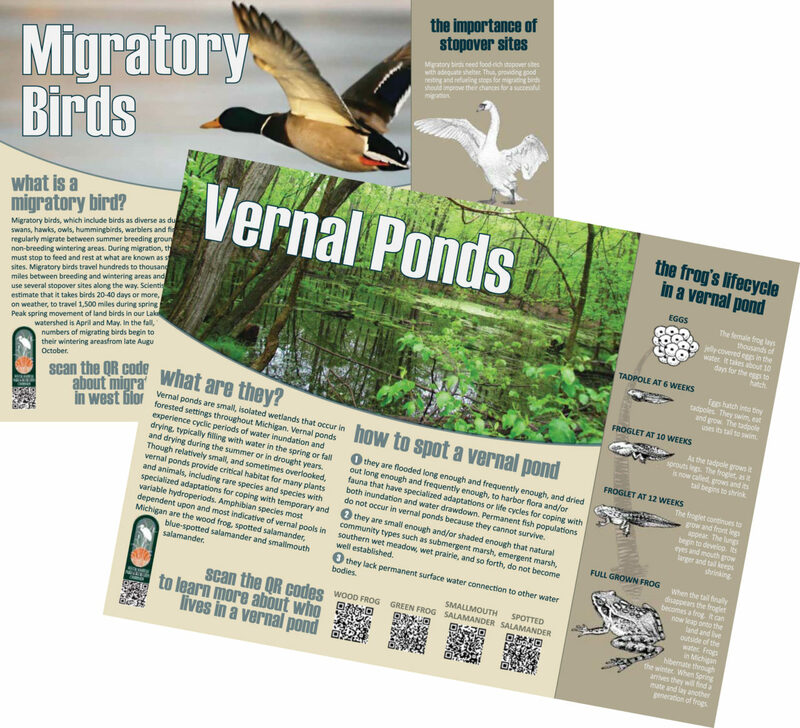 The panels provide content relating to local Endangered Species and rare habitats including the Blanding’s turtle, vernal ponds and their inhabitants, migrating birds of the area, wetlands and their importance in our environment, and upland forest environments including the eastern white pine – our state tree.